Hands down, the best compliment I have ever received was being told I look like a young Stevie Nicks. Aside from sharing our short stature and love for platform shoes, I don’t know how accurate that sentiment can be. While I did allow my ego to temporarily inflate and bask in the glory of possibly possessing Stevie-esque features, the reality is that I, among thousands of other gypsy wannabes, am fascinated by the original sister of the moon. I remember long car rides with Fleetwood Mac as the signature soundtrack for family trips through the Allegheny Mountains, pleasantly surprised I liked the majestic melodies coming from the car speakers. And later in my young adult life inheriting the Rumours vinyl I played incessantly on my first turntable, reading wide-eyed into the romance between Nicks and bandmate Lindsey Buckingham. Now, to every gypsy lover’s delight, Nicks released a treasure chest album of songs she refers to as “jewels” written over the last four decades of her career that have never before been recorded, released or even heard by her Mac bandmates. Once confirmed, there was no time to waste. Nicks was going to reunite with the members of Fleetwood for a reunion tour in the fall and needed to get the songs down fast. Where do you record a full-length album in just two months? Why Nashville, of course. At 66, Nicks has more than ever on her plate. A photography exhibit of her Polaroids debuting at the Morrison Hotel Gallery in New York City, the fall Fleetwood tour with original member Christine McVie, and a much-anticipated autobiography still in the works. On top of all that, Nicks recently invited sister band Haim into her LA home for an intimate joint recording of hit “Rhiannon,” then presented the ladies with gold moon pendants naming them honorary sister of the moon members. My envy of such an honor cannot even be described. It’s this kind of charm and mystique Nicks’ possesses that keeps her adoring fans’ interest piqued, and the reassurance that her wild heart cannot be changed or tamed, like an unspoken pact between sisters. 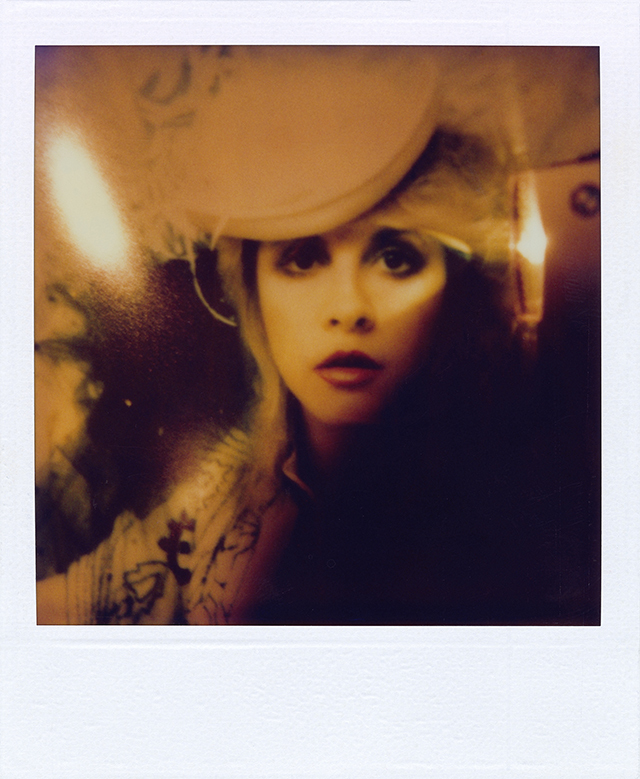 Stevie Nicks‘ album 24 Karat Gold–Songs from the Vault is out now.